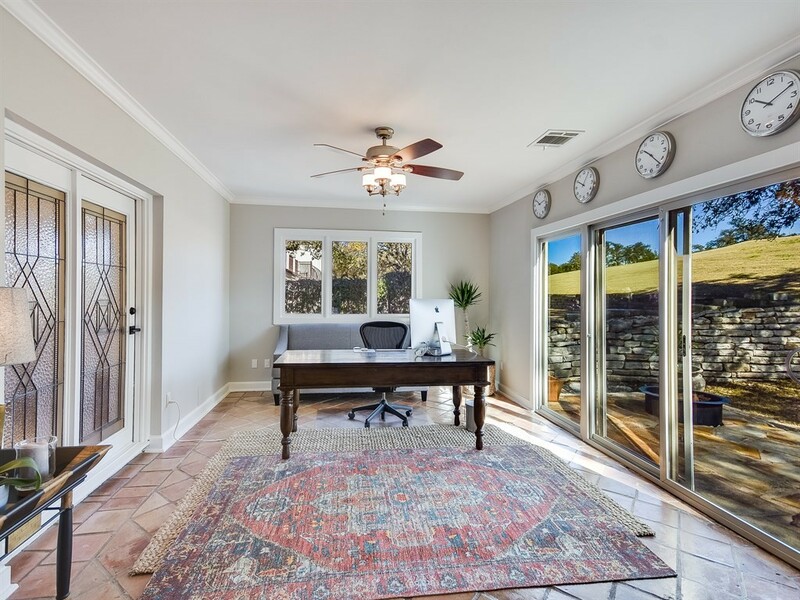 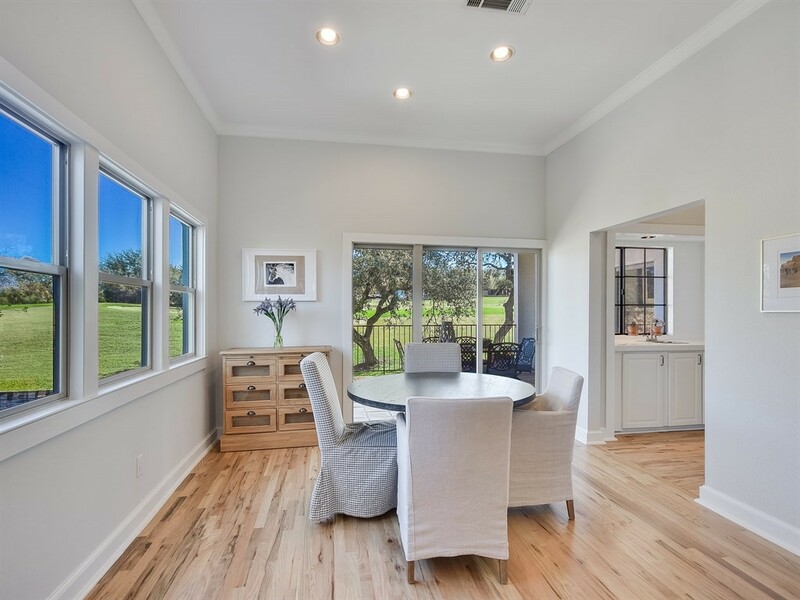 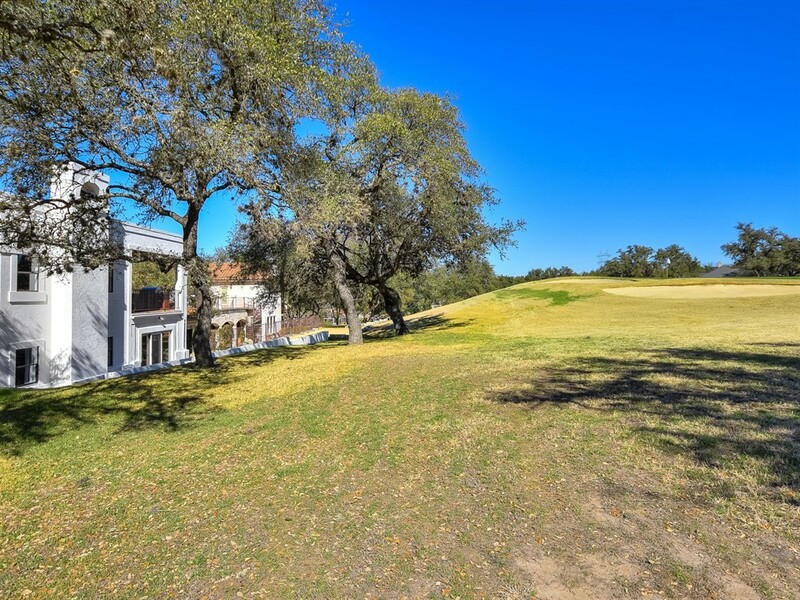 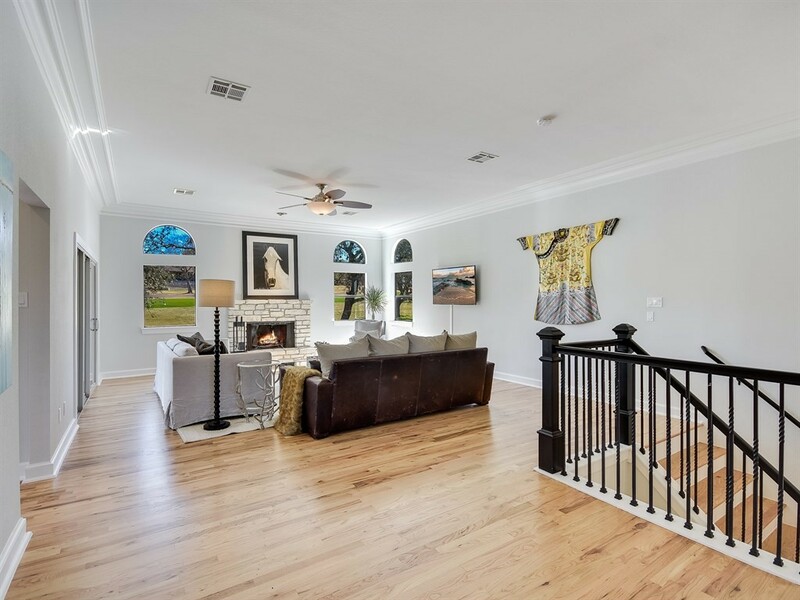 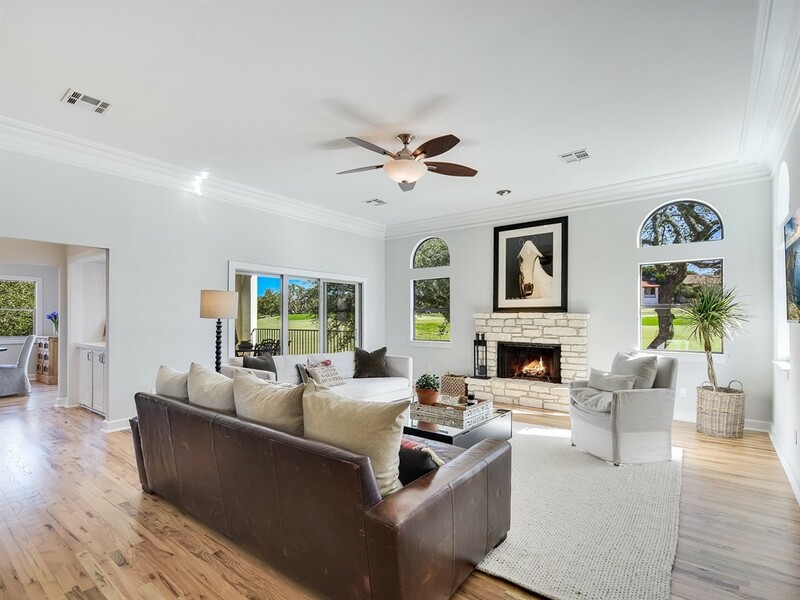 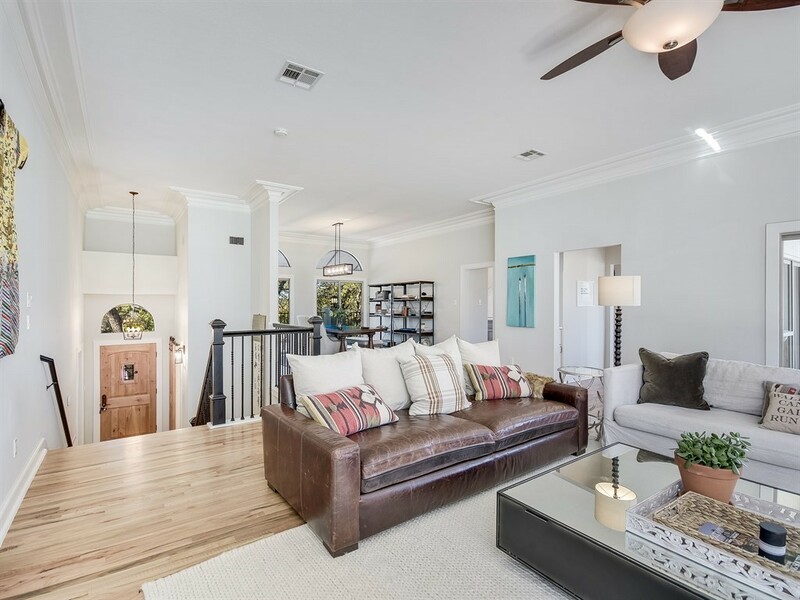 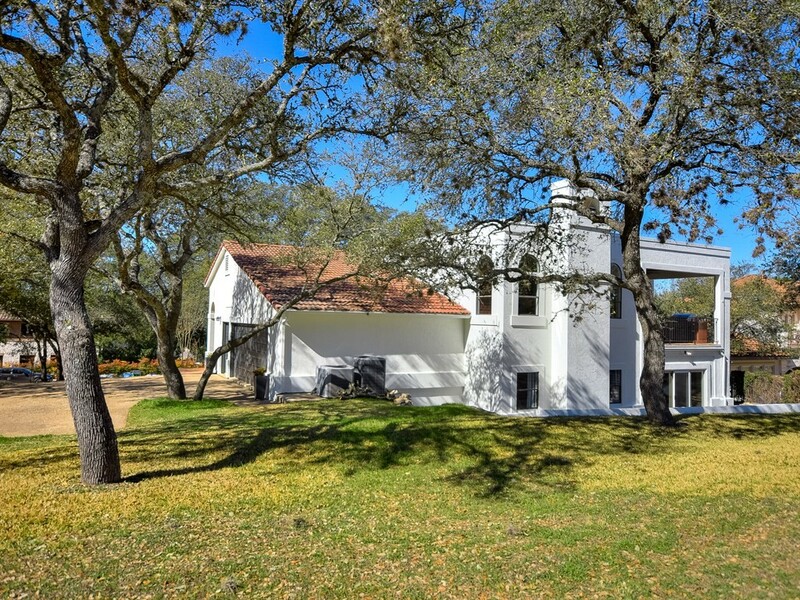 Situated on the 14th green of the Yaupon Golf course in Lakeway, this stunning 2018 green complete remodel features 3098 sqft of impeccably designed interior space and sweeping views in a peaceful treed setting. 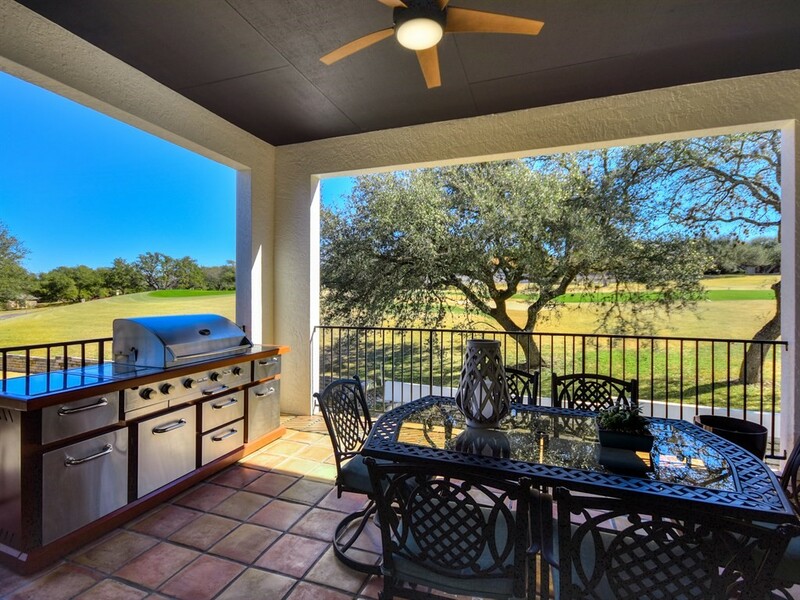 Enjoy the best of indoor-outdoor living with an abundance of natural light and multiple covered patios. 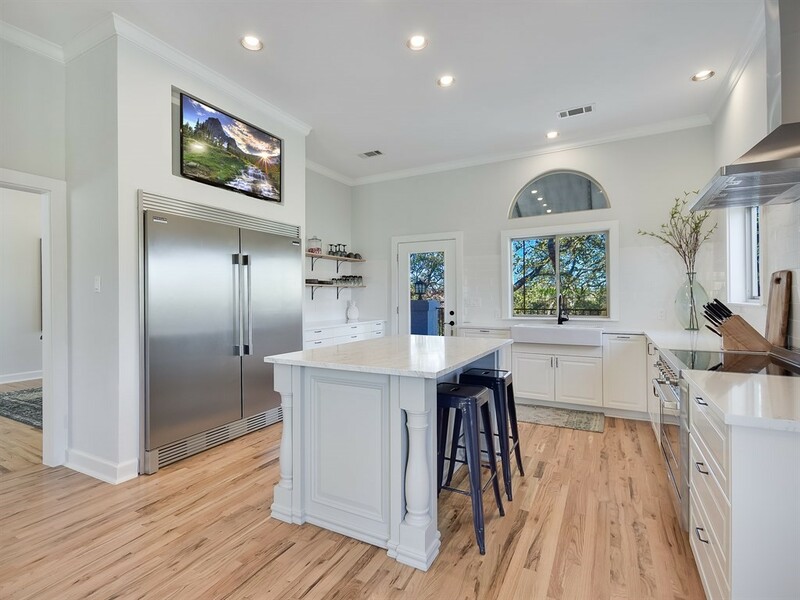 An emphasis was made in the whole house renovation to produce a clean and toxin-free living environment with natural oak flooring, white quartz countertops and no-VOC paints. 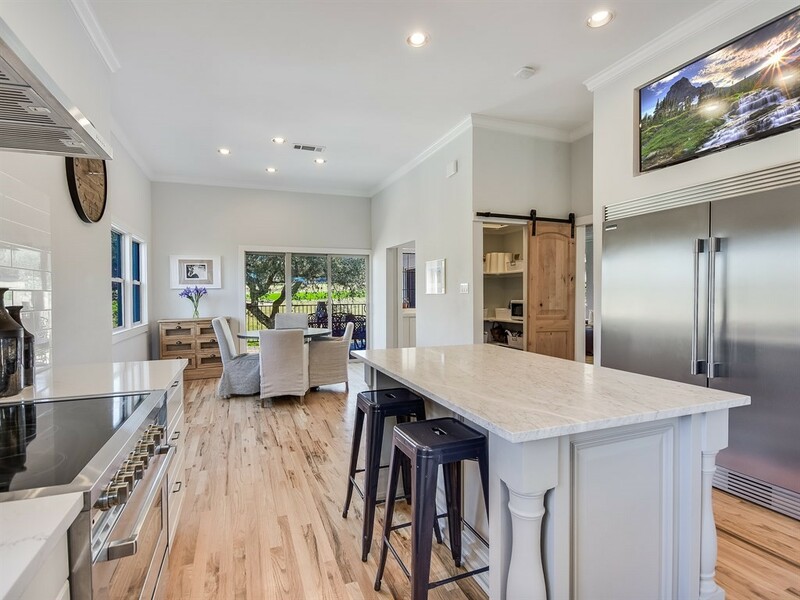 The heart of the house is the amazing kitchen with commercial grade appliances and Carrera marble island. 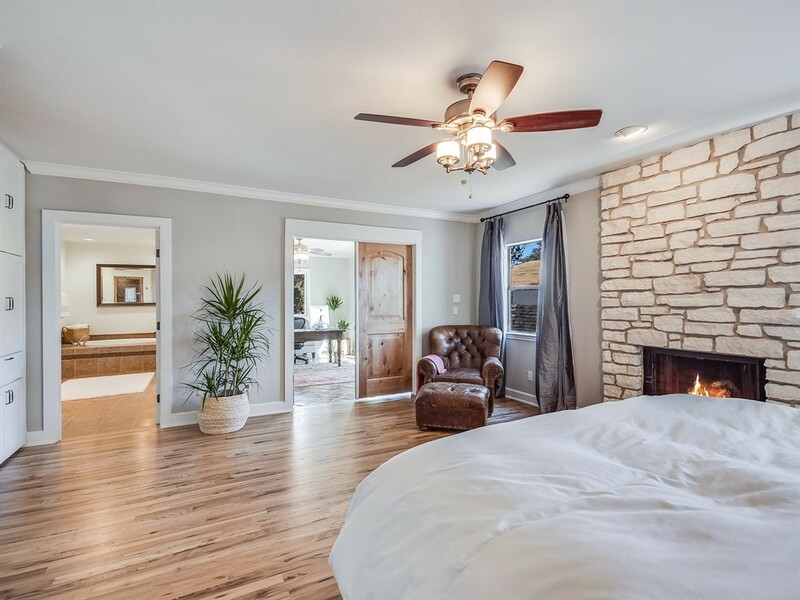 The master suite has a fireplace, large walk-in closet, separate office/study and access to patio and garden area. 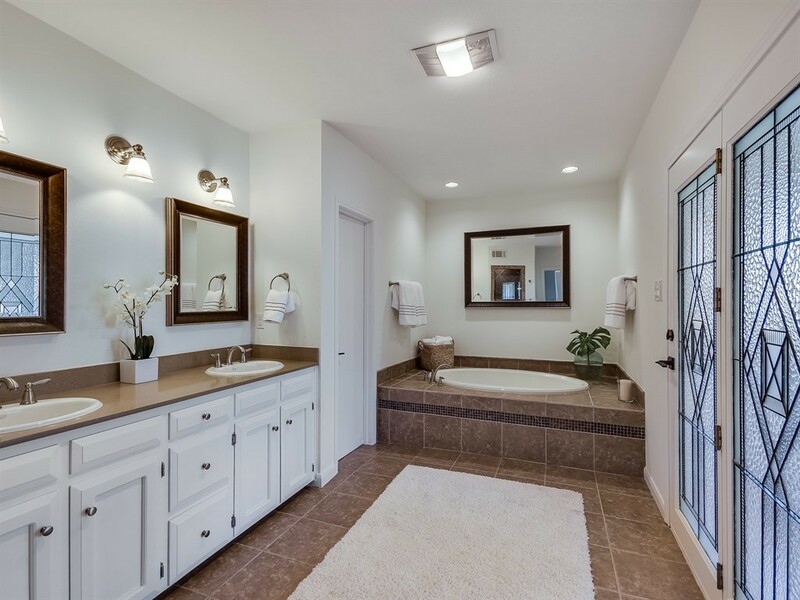 Additional 2 bedrooms each have their own bath. 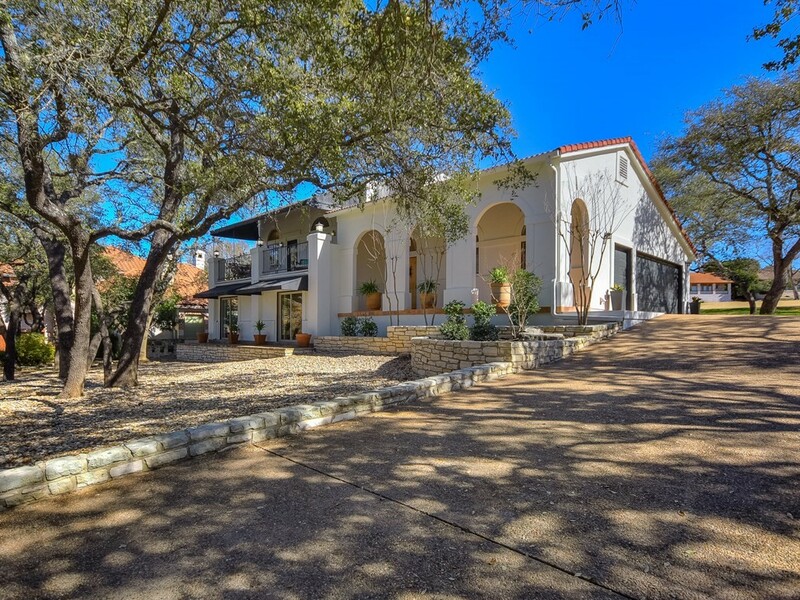 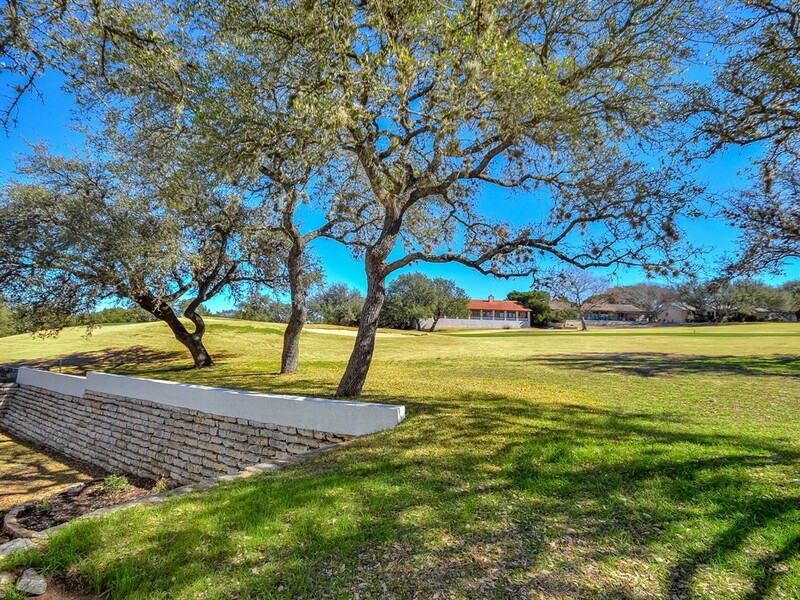 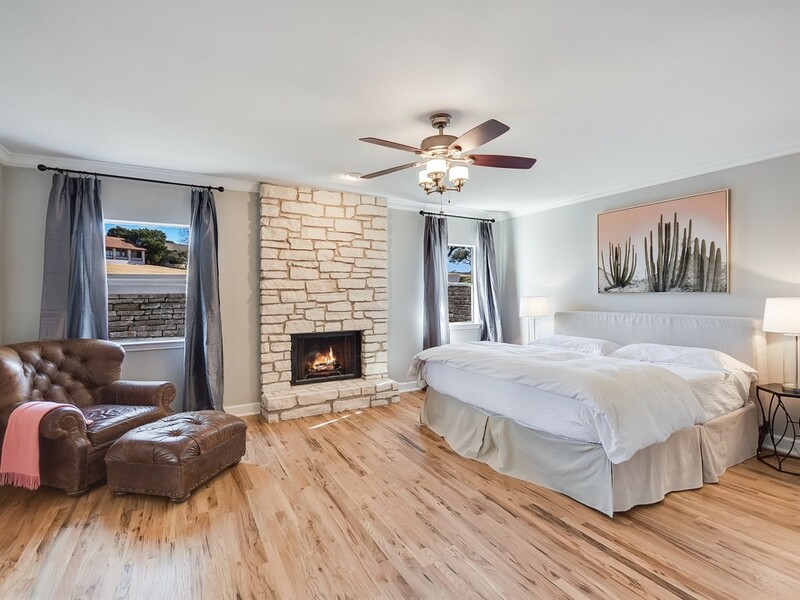 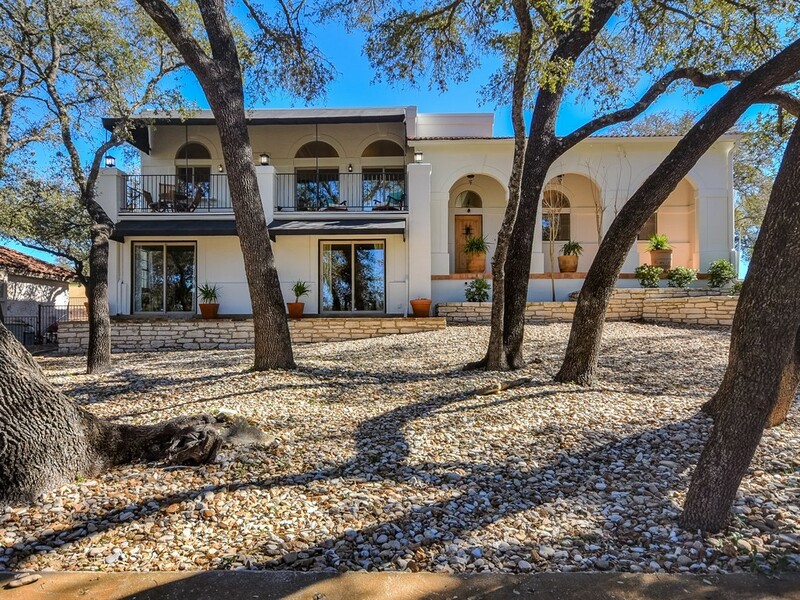 Enjoy living in a resort style community with access to four golf courses, tennis, community swim center, city park, hiking trails and beautiful Lake Travis.